Located near enough to Sandpoint, Idaho that Moyie River rafters can stay in a hotel, but far enough away that the wild remoteness of the place will truly set in, the Moyie River is one of Idaho’s best kept secrets. Melting off mountain peaks and gaining momentum from small streams in British Columbia, by the time the Moyie River reaches Idaho, it is a full-fledged river flowing almost due south. 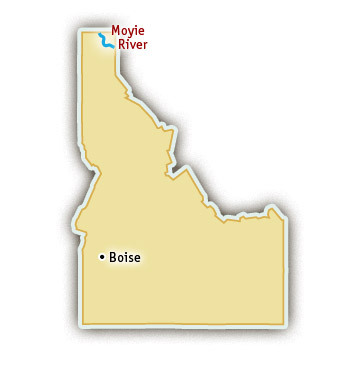 The Moyie River is part of the Columbia River basin and is a major tributary to the Kootenai River in northern Idaho. 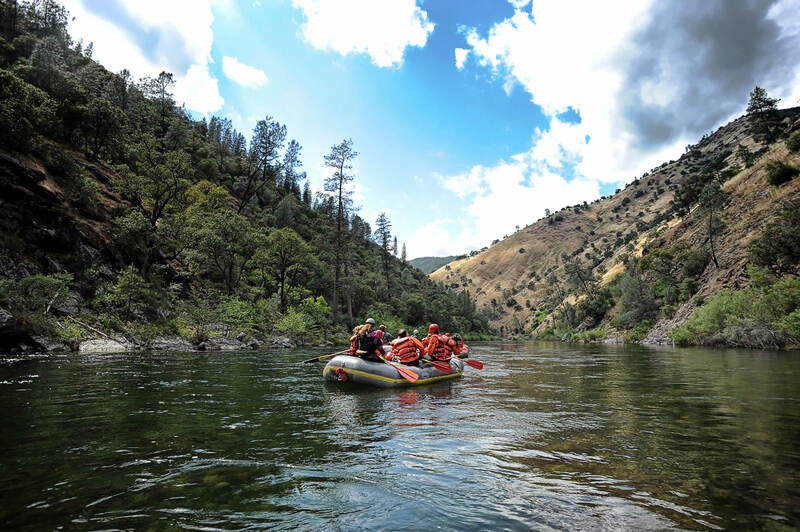 Due to it’s proximity to Sandpoint and Coeur D’Alene in northern Idaho, a 15 mile, one-day Moyie River rafting trip is the perfect addition to an adventure vacation in Idaho. Big, bouncy, fun rapids make the Moyie River a great beginner run and the perfect introduction to whitewater paddling. The rapids are fun and splashy without being at all scary or too technical. The cool, clear water is refreshing and makes for beautiful, glassy waves. Paddle boats are the best way to experience the Class II and III rapids on the Moyie River, requiring teamwork and ensuring that the waves trains will keep the adrenaline pumping. Participants on Moyie River rafting trips float through a rugged narrow gorge densely forested with cedar and pine, and covered with wildflowers and blooming Syringa shrubs in the springtime. Many different mammal, bird, and fish species live in the Moyie River canyon and can often be seen on a Moyie River rafting trip. Fishing is excellent on the Moyie River, as it is on most of Idaho’s clear mountain cricks. Moyie River rafting day trips are best in the springtime when the snow is melting. This is also when the wildflowers are in bloom and the canyon is a vibrant green.